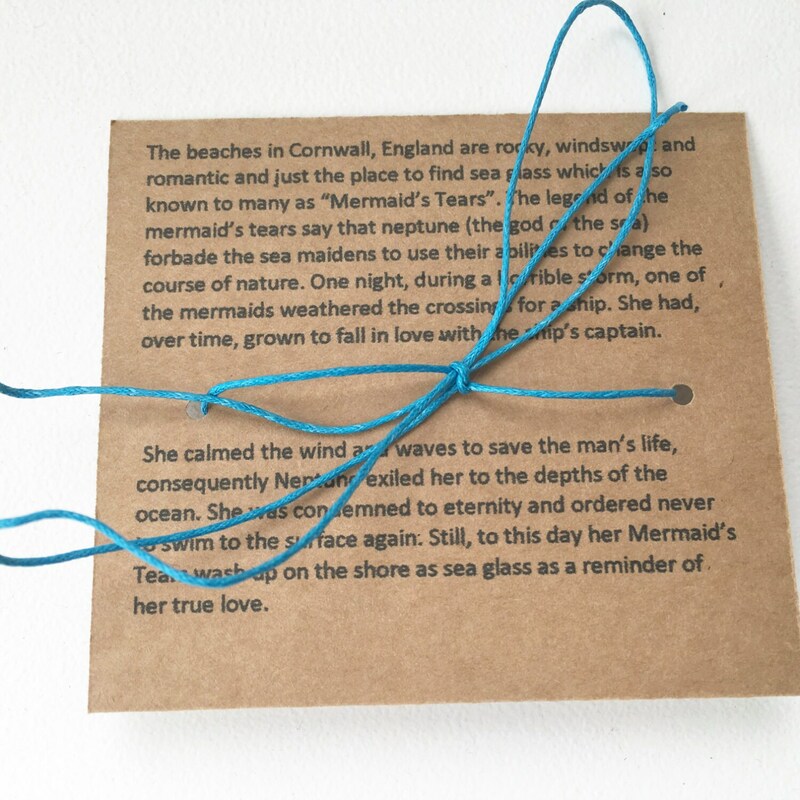 A piece of natural beach found sea glass which has been drilled and a length of blue cotton cord threaded through. 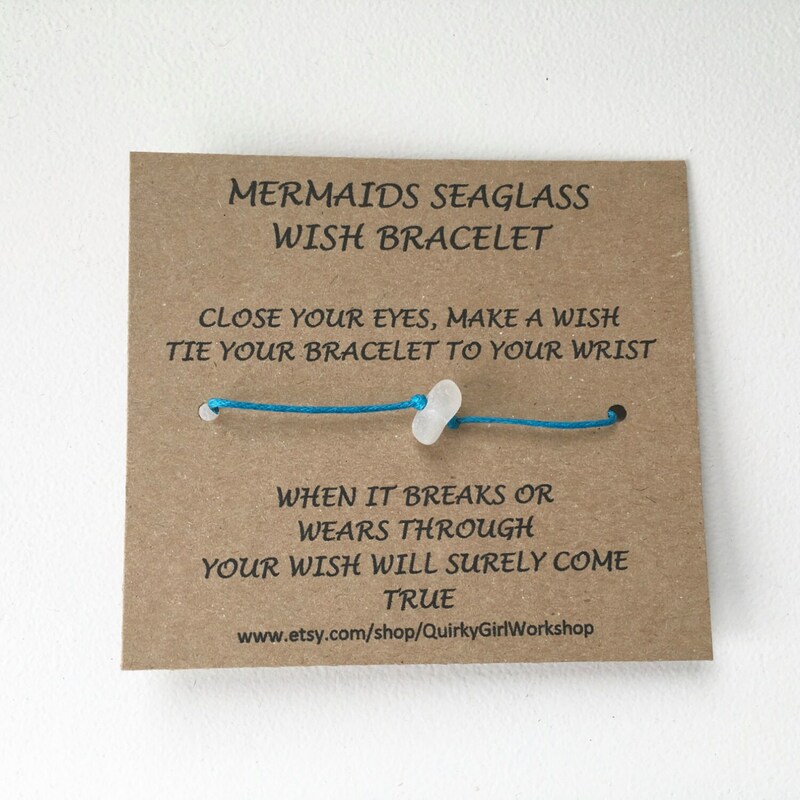 These sea glass wish bracelets are suitable for a bracelet or ankle bracelet. The cord measures approximately 71 cm (28 inches) long, it can either be tied and cut to the required length or wrapped around the wrist or ankle and tied. 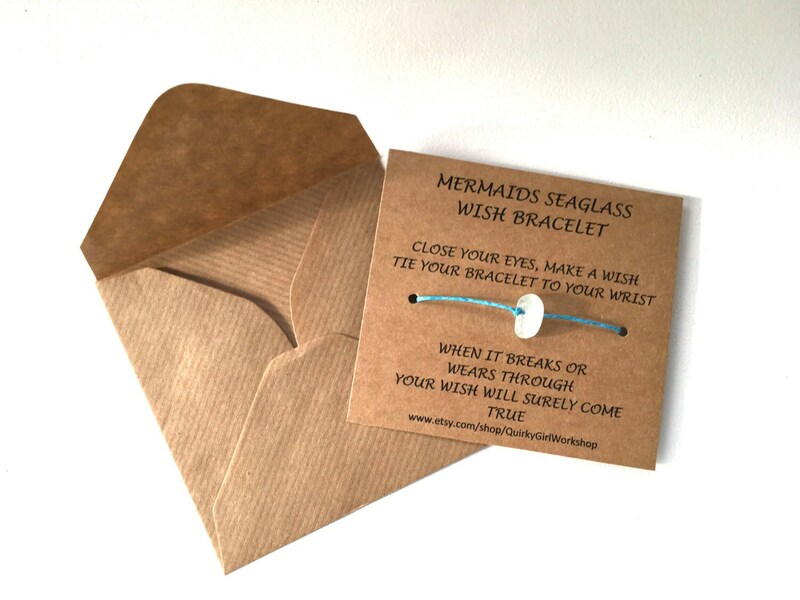 These wish bracelets come on a card with a copy of the romantic legend of the mermaids tears printed on the back. 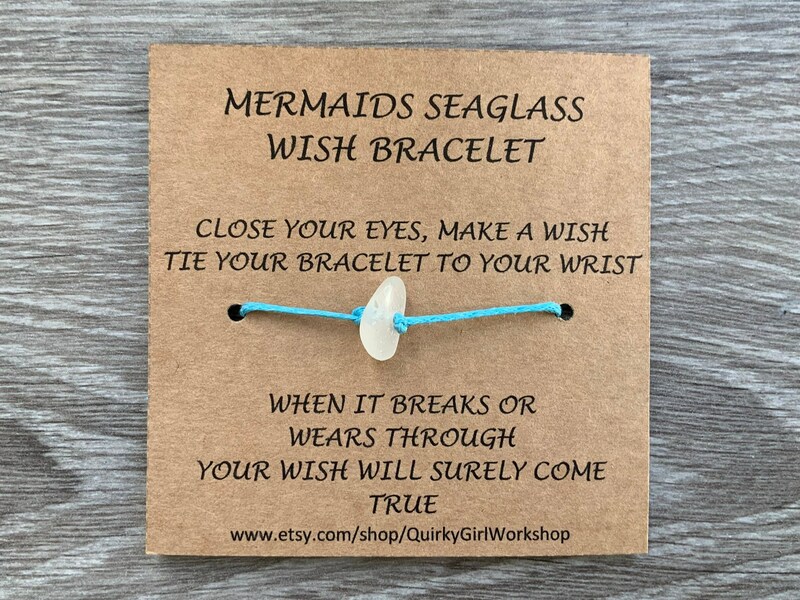 If you like this bracelet but would like a different color cotton cord or more than there is in the listing, just message me. Perfect bridesmaids gifts or bridal favours. Arrived super quick and just as described/pictured. There was some colour transfer the first day or so of wear but nothing since and the string is a nice muted turquoise.